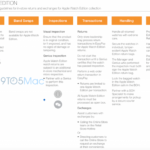 Daring Fireball’s John Gruber has explained in an article today why he doesn’t expect Apple to allow custom watch faces for the Apple Watch, even when the full Apple Watch SDK ships later this year. 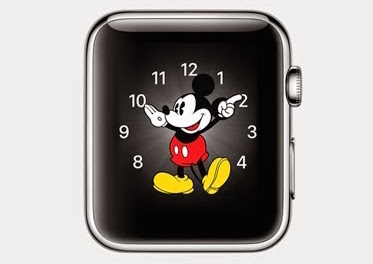 He says that while going through a collection of strange custom watch faces for the Google Android Wear, he realized that Apple may never open up watch faces to such arbitrary designs, and even if it does, he believes that they’ll be through select design partners, such as Disney designing the Mickey face. Gruber gives the example of how Apple didn’t allow wallpapers for the iPhone until iOS 4 in 2010, that is 3 years of a black background on the home screen, which most users didn’t seem to mind much. He also compares Apple’s philosophy with that of Google’s when relating to fully-customizable watch faces for the Android Wear. He notes that all third-party faces featured on the Play Store are “more in tune with the Android’s Material Design aesthetic”. Apple’s watch faces on the other hand, have black backgrounds, as does the rest of the Apple Watch interface. “That’s because Apple Watch has an OLED display, which doesn’t need to turn on pixels to show black — it’s a design aesthetic and an energy-saving move”, he says. “The idea of fully-customizable watch faces is right in the sweet spot between the differing philosophies of Google (anything goes) and Apple (tightly controlled). “This is what we, the designers of this product, want it to look like” vs. “Go ahead and make it look however you, the user, want it to look”. I’m a little surprised at how heavily skeuomorphic many of these Android Wear faces are — they’re heavy on 3D lighting effects, textures, drop shadows, and in some cases even fake watch crystal gloss. That aesthetic feels surprisingly dated to my eyes today. That’s not just an Apple thing, either. Gruber concludes by saying that Apple sees watch faces as part of the system, like the lock and home screens for iOS. And even with iOS 8, Apple has not allowed third-party lock or home screens.